In the aftermath of Haiti’s devastating earthquake, I spent three and half weeks in both Haiti and the Dominican Republic involved in the relief efforts. 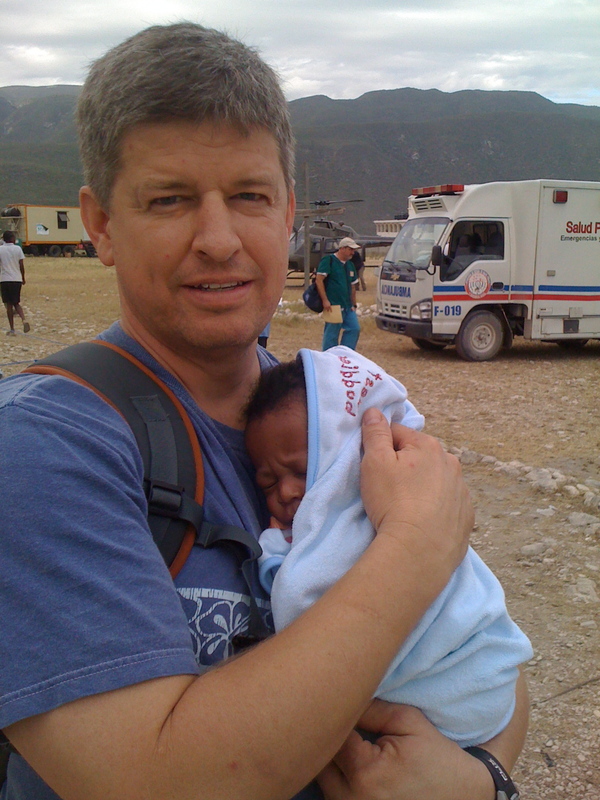 This was, needless to say, a life-changing experience in which I encountered countless stories of both tragedy and resilience, and my own participation took an unexpected twist from a small role in the food distribution and medical relief of thousands to an effort to save one child. While delivering food to an orphanage in a small community outside of Port-au-Prince, our team came across a sick infant. 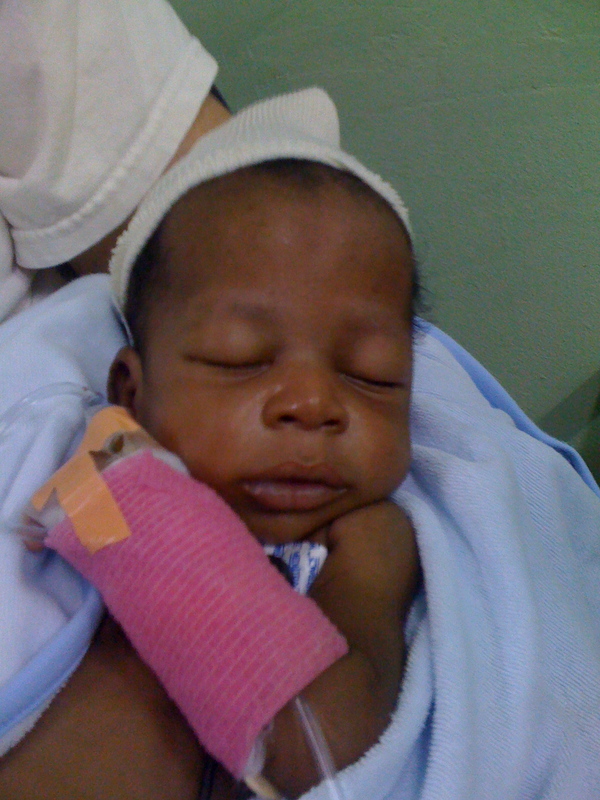 Six-week-old Isaac was malnourished and dehydrated, and he grabbed my heart. A nurse practitioner who was with us decided that he needed immediate medical attention. With the blessing of the orphanage director, Isaac was swiftly transported to a medical clinic and I became his custodian in helping him receive medical care. At that point, my journey became exclusively, albeit briefly, intertwined with his. After a good fight and despite the best efforts of many caring people, Isaac passed away on February 6, 2010. For years I have been working in various parts of the world with children-at-risk and related issues, and many children and their stories have affected me. However, the intensity of attempting to save Isaac’s short life, within the larger framework of the untold sufferings of Haiti, has had a profound impact on me, my family, and, as I continue to discover, many others as well. I feel I was almost thrown into Isaac’s saga, so the lessons that follow are less about what I was able to do and more about what was confirmed in me as I moved through this time with Isaac. At the very least, Isaac’s story is a reminder that the claims of justice and love mean very little unless they affect someone tangibly. It also reminds us that often times the best efforts at love and justice are small and focused. His life has been a beautiful illustration that whether we are fighting for the justice of thousands or fighting for the life of one, it’s worth it. I wrote the following reflection while in a Dominican hospital about halfway through my time with Isaac. His story, one of an orphan suffering in the third world from lack of adequate health care, malnutrition, and basic needs, is one of a million such stories. May Isaac move you to consider what you can do on behalf of these orphaned and vulnerable children worldwide. I’ve been trying to figure out my role with him. Dad? Maybe. Lots of unknowns still with this. Custodian through this medical crisis? Yes. I am here to make sure that he’s properly cared for. But what if the worst happens and he never pulls out of this? Then why all this? Why drive him wildly across the dusty countryside of Haiti to a disaster response medical clinic? Why have him cared for by experienced doctors who have converged here from all over the world? Why hop on a military chopper with him and rush him to the best hospital we could find in Santo Domingo? Why do blood work, hook him up to monitors, and pump powerful antibiotics into him? Why? The thought came after I touched Isaac and said that someone’s here for him that in a profound sense every single human being has value; and everyone of us, just like Isaac, needs someone “there” for us whether we realize it or not. Perhaps to give this to someone even when you are not sure what good it is or role you are playing is precisely the way God wants us to love. Perhaps I will only be here for Isaac for a short part of the journey or if his journey is short. Perhaps it’s for the long haul. Perhaps I’m supposed to be this for Isaac, and perhaps he’s teaching me something about love. The frustrating part of this is the finitude of the human perspective. We don’t always know our role in the story. I certainly don’t understand the massive amounts of suffering and “aloneness” that has been going on all over Haiti, and it angers me. It makes me question God, or wonder if he’s the being we think he is, or even wonder if he’s really there at all. At the same time I find myself praying—praying that somehow in some way those who were trapped or continuing to suffer will at least be given a touch from God and somehow experience that they are not alone. This is my prayer, but the realist in me recognizes that this is often not the case. People suffer and die alone all the time. Then I find hope calling me to believe this for them in eternity, and love calls me (and all who say they follow Jesus) to incarnate this love to those that come into my journey. Love also calls us all to stand for justice for the vulnerable and oppressed. I truly wish that I could resolve the mysterious tension of not understanding the sufferings of this world and the anger and cynicism that they bring alongside the simultaneous life-giving and joyful narratives of love, justice, hope and compassion, beauty, truth and grace. The latter spurs me to want to challenge this present order of things through trying to live out these life-giving stories with presence, hope, grace, justice and love. I want Isaac to sense someone is there for him and at this stage of life that is perhaps all that it is for him—a “sensing”. But for the value of his life, and for as long as our paths cross, I can be that for him. I think that’s what we all need, from God and from others: to know or believe someone is there for us however long our lives are and whatever twist and turns they take. This is to me the message of the incarnation: to show us a God who is loving and present amidst the often times dismal, inexplicable chaos around us; to give us a hope that someday this will all be made right; and to love, value and be present with us for who we are, no matter who we are—especially little Haitian orphans. Today I choose to believe someone is here for you, Isaac, and for me as well. Despite the “whys” I choose love. This entry was posted in Uncategorized and tagged children at risk, haiti, orphan care. Bookmark the permalink. I loved re-reading this reflection. It made me cry again. I will be keeping up with your blog. Your words are such a blessing to me. Very compelling pal. Would love to hear more of your travels. Hope you guys are well. Love you. pray that God will enlarge your territory and take good care of you and family. Go boldly Lance, God is with you.